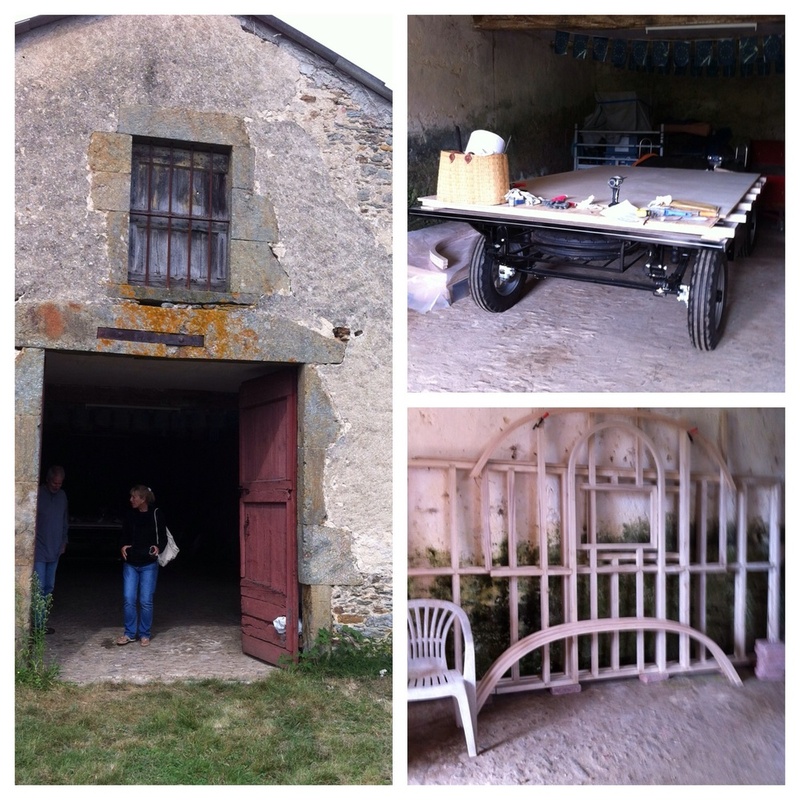 Suzanne L'Hoste was kind enough to invite us to visit her farm Monday afternoon. Suzanne is an amazing artist in many mediums. I love her paintings and decorating skills. You can learn all about her current project on her blog, Totibleu.wordpress.com. She is building her own horse drawn caravan cart to travel through France. She let us take a peek inside the barn where the cart is being constructed. on the left is the barn and top right is the newly constructed wagon chasis and the bottom right is the back wall frame of the caravan. Everyone felt inspired by our visit with Suzanne, her husband, Mark and her daughter, Dana. It is amazing to meet such creative people with the courage, imagination and skills to pursue their dreams.